EFN: Battle of Moscow 15: Revenge from March 28, 2014 in Moscow Russia. Islam Begidov vs Daniil Voevodin EFN: Battle of Moscow 15 Fri, Mar 28, 2014 (12:32) Islam Begidov vs Daniil Voevodin at EFN: Battle of Moscow 15 from March 28, 2014 in Moscow Russia. 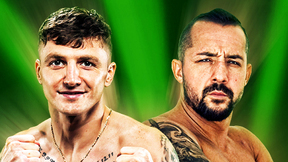 Eduard Muravitskiy vs Magomed Arsamahov EFN: Battle of Moscow 15 Fri, Mar 28, 2014 (13:51) Eduard Muravitskiy vs Magomed Arsamahov at EFN: Battle of Moscow 15 from March 28, 2014 in Moscow Russia. 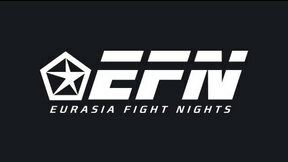 Nikolay Aleksakhin vs Ismail Aliev EFN: Battle of Moscow 15 Fri, Mar 28, 2014 (22:06) Nikolay Aleksakhin vs Ismail Aliev at EFN: Battle of Moscow 15 from March 28, 2014 in Moscow Russia. 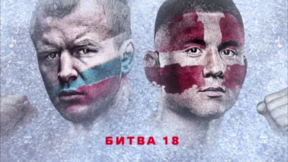 Abdul-Kerim Edilov vs Lahat Faye EFN: Battle of Moscow 15 Fri, Mar 28, 2014 (9:02) Abdul-Kerim Edilov vs Lahat Faye at EFN: Battle of Moscow 15 from March 28, 2014 in Moscow Russia. 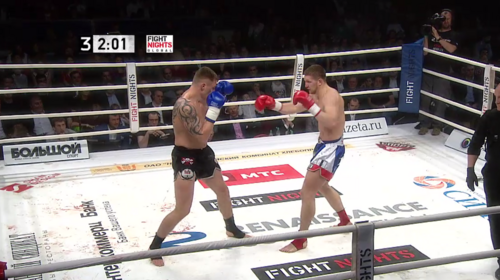 Konstantin Erokhin vs Brett Rogers EFN: Battle of Moscow 15 Fri, Mar 28, 2014 (32:04) Konstantin Erokhin vs Brett Rogers at EFN: Battle of Moscow 15 from March 28, 2014 in Moscow Russia. Timur Ailyarov vs Alexander Mischenko EFN: Battle of Moscow 15 Fri, Mar 28, 2014 (20:11) Timur Ailyarov vs Alexander Mischenko at EFN: Battle of Moscow 15 from March 28, 2014 in Moscow Russia. Vladimir Mineev vs Sergej Maslobojev EFN: Battle of Moscow 15 Fri, Mar 28, 2014 (34:29) Vladimir Mineev vs Sergej Maslobojev at EFN: Battle of Moscow 15 from March 28, 2014 in Moscow Russia. Batu Khasikov vs Mike Zambidis EFN: Battle of Moscow 15 Fri, Mar 28, 2014 (45:08) Batu Khasikov vs Mike Zambidis at EFN: Battle of Moscow 15 from March 28, 2014 in Moscow Russia.